This summer enjoy nightly fireworks at 10pm! This summer enjoy a beautiful fireworks display from Massimo's dining room every night at 10pm! 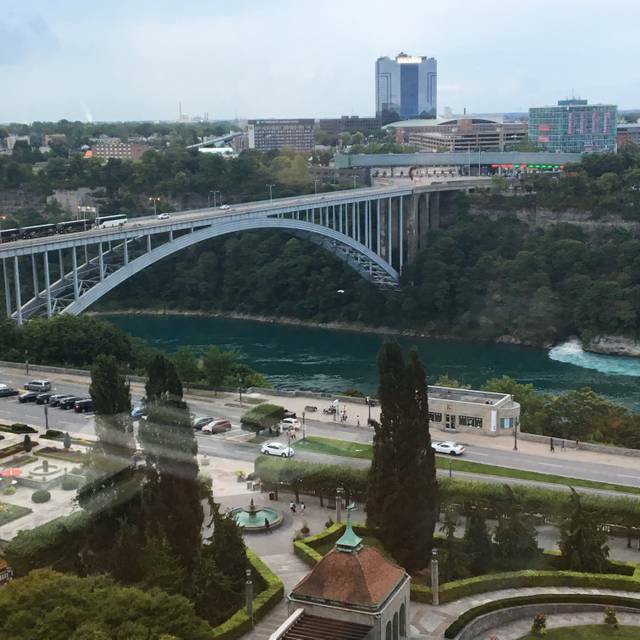 Massimo’s Italian Fallsview Restaurant offers a modern and refreshing take on authentic Italian cuisine and amazing views of Niagara Falls. THURSDAY is DATE NIGHT at Massimo's. $99 per couple gets you two appetizers, 2 main courses, 1 shared dessert and a bottle of red or white wine. Reservations are highly recommended. Massimo Capra is one of Canada’s most prominent chefs and Massimo’s Italian Fallsview Restaurant reflects his distinct connection to both Italy and Niagara through a combination of classic Italian cuisine and high-quality, often locally-sourced ingredients. At Massimo’s Italian Fallsview Restaurant old world tradition meets new world style, and with every meal, diners experience a true taste of Italy and the finest of Niagara Falls. The food and attentive service by our server was very good. The wait between the appetizers and the main course took way too long 40mins wait. I had asked on a few occasions if the main dish was coming out soon. We were getting tired of waiting at a certain point. Our experience was very pleasant. Our server took good care of us and described our meal very well. She also recommended dessert and paired it with a nice Vidal. The food came very quickly and hot. Let's not forget the view. Overall it's a 5. Excellent. 3 heads up. The spicy penne is spicy. They are under construction right now so ambiance isn’t the best. And don’t pay the tacked on tourist tax. The food is amazing. Service is also excellent. Enjoy. The food and service were outstanding. Portion size was perfect so that dining and trying different foods was possible. I loved everything about this restaurant. The food was amazing, our server Rachel was just lovely. She was so informed on any questions we had. I would highly recommend this restaurant and we will definitely be coming back. 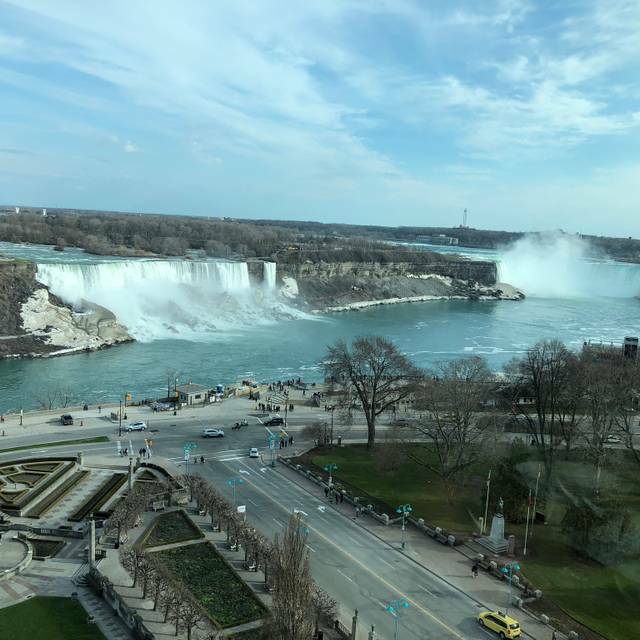 Great place to visit once, Especially if your are staying at the falls! Great views, food was Ok a bit pricy but you are paying for the views. We very much enjoyed our date night. ( Thursdays ) The selection of foods are very good. ( check the online menu ) The view of the falls is spectacular. Friendly service. The only minor element was bread missing. Anniversary dinner. We were seated by the window as requested. The service was immediate and professional, and warm and personal. The food and wine was very very good. 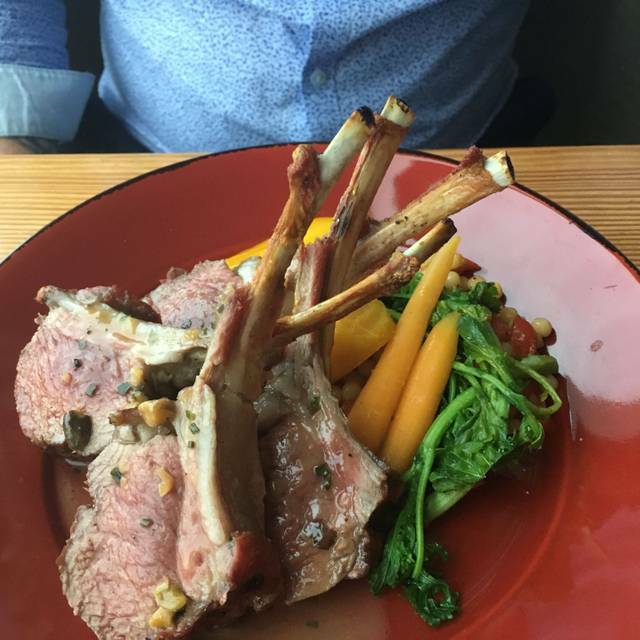 Our best dining experience in Niagara! We enjoyed our dinner at Massimo’s a whole bunch. Best view in Niagara Falls of both falls. Service was exemplary. Talented, knowledgeable and excellent sense of timing were demonstrated by the wait staff. Food was excellent. I love Italian. The three course pasta meal and the three course main dish meal were a great deal. I highly recommend this restaurant if you want fine dining. It is a wonderful place to go for a special night out. Was expecting them to at least use fresh pasta for a 31 dollar meatless pasta dish. I have no problem paying for quality food, but that is not what we received. Perfect date spot overlooking the falls. The service was prompt and our waitress gave excellent suggestions. We could not have asked for a better evening. Food was served hot. Foccacia bread and olive oil/balsamic mix was also worth tasting. We tried the beef medallions, roasted chicken, tiger shrimp and fish dinner. All very good meals. We were glad we went, plus the view is amazing from the 13th floor of the Sheraton. Beautiful hotel overlooking the falls. Overall would refer a friend, the only caveat is the meals are priced asis no substitutions or changes. So we had to buy two kids meals to split between my girls. No side dishes/a la carte. But I did ask to remove the local fee and they discounted my bill that amount. 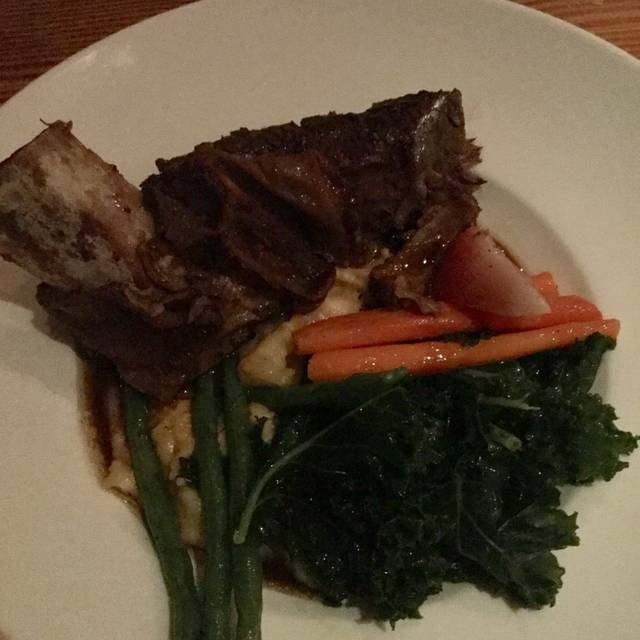 Food is good, service was fine, price is high as you'd expect in a place like that. But unfortunately, the hostesses were some of the worst we've ever met. Extremely rude, and when we asked to have a window seat with 2 tables open they claimed that those were "reserved" although we had a reservation and also made the request of window seats since we were there for 2 birthdays. The experience with the host staff ruined the rest of the restaurant experience. Will most likely choose the steakhouse in the next tower over next time. Excellent food, right size portions and the attention was fabulous. From the comfort of our welcoming table for two that was nestled in the beautifully lit and well decorated dining overlooking the panoramic view of the evening light display of Niagara Falls where we received nothing short of impeccable service as we enjoyed thoughtfully prepared and innovative and creative dishes paired with cocktails and good wine that inspired a journey of flavors which made our experience there unforgettable. Long after you return home, you will not have forgotten dining here. 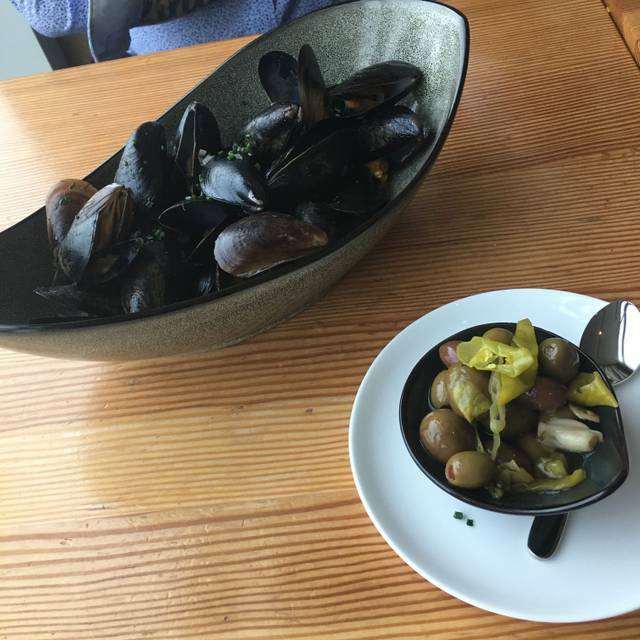 First off, the view was priceless along with the ambience and our server was great, but unfortunately our meals were just ok. My husband was very disappointed with the mussel dish as there was no flavour. My prociutto wrapped chicken was slightly over cooked making it dry to eat. I think Massimo the chef would expect better from his kitchen staff, as they are representing him and his culinary expertise. 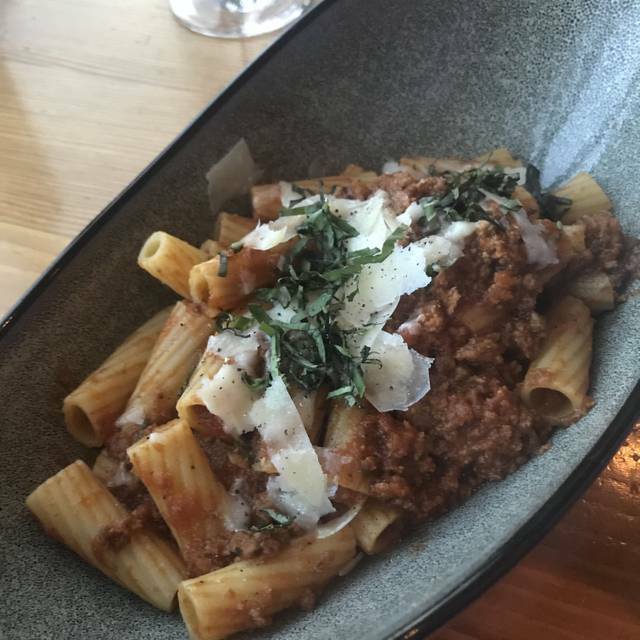 We are really disappointed with this place, because I booked this Italian restaurant for my husband's birthday and I was unpleasantly surprised when the prices for the promotion were more expensive than I found in Internet! The tables were without tablecloth, the food wasn't nothing special and when I ask for bread it was extra! This is an Italian Restaurant? We pay for a dinner $ 200 without wine!! Extremely overpriced. No recommended!!! The service and food were excellent! 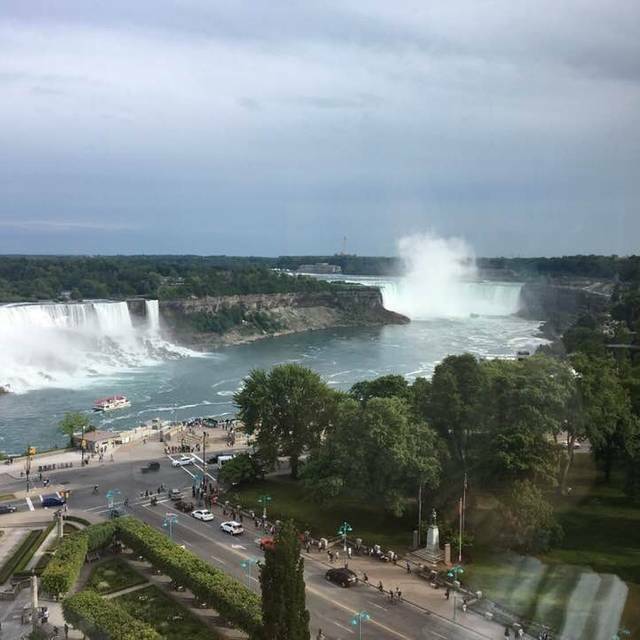 The ambience was also wonderful with a spectacular view of the Falls! Would definitely recommend to friends! We enjoyed our dinner very much. Unlike other reviews i read about the portions being small we could barely finish our chicken. The server Rachel was attentive without being annoying. She was super pleasant and we quite liked her. Wine was fantastic and the meal ended with a complimentary treat of ice wine. However, a couple of things were missing --- usually nice warm bread to start the meal and the offer of ground pepper . Would have been a nice touch most restaurants in this calibre offer these things. We had the date night special. Our server Jason was amazing, food was excellent, and overall experience was awesome. Excellent restaurant. My SO lived in Italy for four years, myself for about one. Excellent food. It was our first time at the restaurant. My tenderloin was so salty I couldn't eat it. Second time still pretty salty. Everything else was great. I was kind of disappointed. The food compliments the view! Both were wonderful! I booked my reservation well in advance specifically requesting a window seat. Was my very first visit to the falls and wanted the opportunity to admire them in the eve as I was told it would be remarkable. I arrived and did not recieve a window seat but was instead seated in a booth. The waitress was very nice but impatient. Took out order without allowing me to order a main . On her return with my partners main and the app. I asked to order the rest of my meal. . Both my partner and I were very dissatisfied with out meals . Neither of us barely touched it . Spent over 100 for 2 on food we couldnt eat . The mushroom ravioli wasnt at all what I had expected and the penne was dry and watery. Will deffinately not go back . Good food and good service, nothing more I can say. 5/5. The waitress told us the restaurant had recently added a new chef and it shows. Everything we had was so delicious, we had great service and a fabulous view. I definitely recommend and would return. My boyfriend and I went here on a Thursday when they do their couples’ nights and the food was absolutely amazing. The portions were shockingly bigger than we thought. We will definitely be going back soon. I found the portions overpriced and we were asked for still or sparkling water, for the first time in my life we were charged for still water $7.50....if you’re going to charge people basically $10 for water you may want to let them know when you’re offering it to them. Also we each ordered a ceasar, literally what we received was some odd vodka red wine tomato sangria, it was not delicious and probably shouldn’t be what you receive when a ceasar is ordered. Not even close to one as a matter of fact. Our server was nice, but when having staff interact you should affect their gratuity by having them not “educate” the costumer on modified drinks and cost for water. My wife and I absolutely loved our experience! The waitress was incredible, the view was outstanding, and the food was perfect! Beautiful view. Service was good. And that’s where it ends. Menu was extremely limited and honestly, food was not that good. 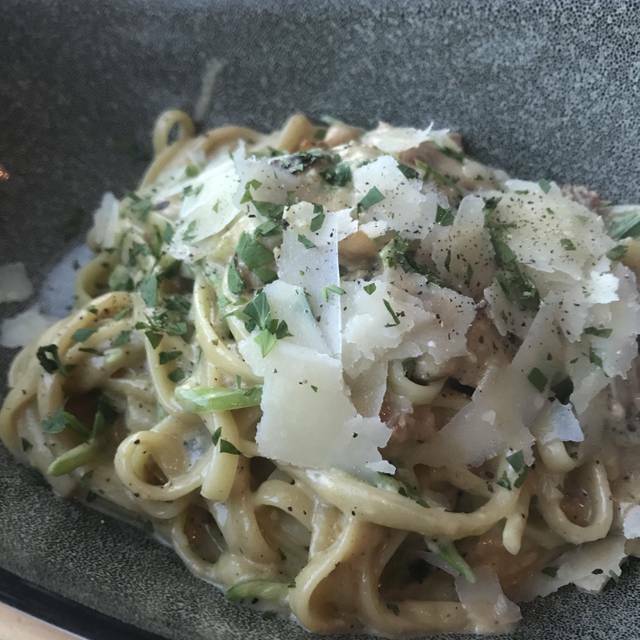 For an almost $50 main at an Italian restaurant the pasta better be in-house made and ingredients should be fresh and local. Neither was true. What a major disappointment this place was. 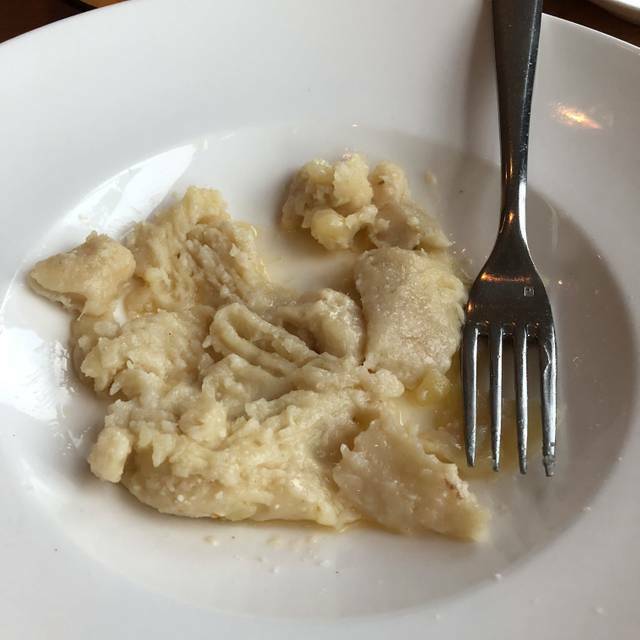 Rigatoni appeared to be store-bought and the chicken was over cooked and dry. Veg on the plates were hard and the broccolini spears where bitter and still had leaves attached. $225 for the two of us, with no wine or drinks. Extremely overpriced. And if you wanted bread brought to the table, it was extra. At an Italian restaurant? Are you kidding me? Sheesh. Maybe a 4 out of 10. Our server Jesse was great!! Excellent food. Great ambience. The view was amazing. Our server, Jason was amazing. We definitely would go back again. Food was good. Service was good. Was way over priced. For basically a meat, some veggies and a potato. The ambiance was very romantic, dimly lit with a fantastic view of both the Canadian and US Falls. Our Server Jordan was excellent. Very polite but friendly with a great knowledge of the wines. The main course and deserts were excellent. We weren’t a big fan of our appetizers but I think that’s just a personal preference. The serving sizes were large enough that you left feeling satisfied and full. I was very happy with our experience.